I was born in 1954 in Los Angeles, California. Mom was an actress, then became an attorney. Dad was an airline pilot, so I began globe trotting when I was young. I am 63 now, a freelance media producer, voice~actor and photographer. I hope to spend much of this year traveling, and settling for a season or two,…in special places, such as Yunnan Province. That’s the short version. Here’s a bit more. I arrived in Lijiang just over one month ago, and am already forever changed. A friend of mine since early childhood moved here some years ago with his wife who is Chinese. He had been begging me to come to China for some time, but timing is everything, and only recently was I able to leave my precious grandchildren Joshua Jr. and Josiah ages and 4 and 2, thank goodness for technology, WeChat and FaceTime have made it possible for me to remain in contact. I met Charlie Lee, immediately after checking out of the guest house I had been staying in. 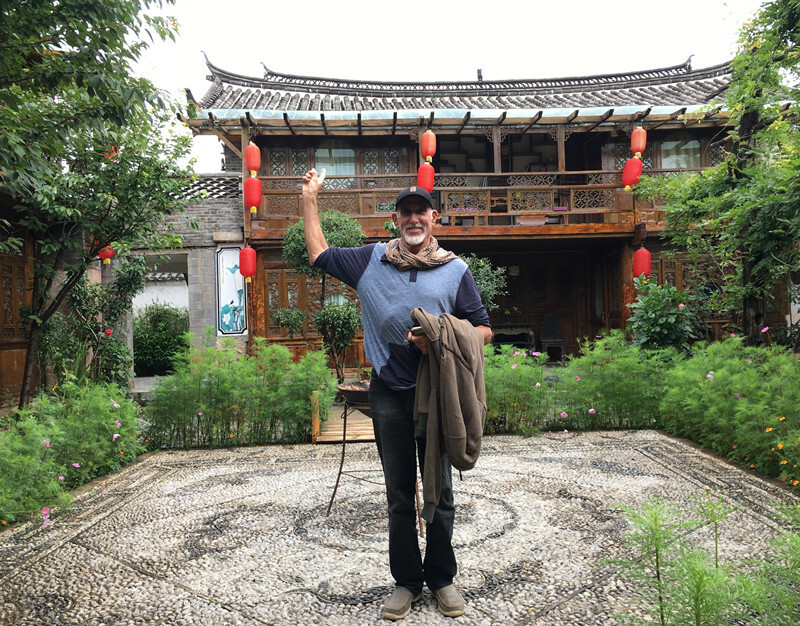 I had already spent days in the Old Cities of Lijiang and Shuhe, and felt the quieter pace and authenticity of Baisha better suited me. Being in such close proximity to the Himalayas, the verdant foothills, fresh air and natural beauty is everything I have been yearning for. Charlie informed me that his company Trans-Asia Discovery owned the first hotel in Baisha, Baisha Holiday Resort and that he also operates Yunnan Tours (YunnanExploration.com) and China Dragon Tours(ChinaDragonTours.com), a well established travel and tour agency with years of experience.They handle everything from 1 day group tours to personalized and extended stay tours that include trekking and travel assistance in Tibet( MysteriousTibet.com ). I am in my third week in Baisha, comfortably situated in the courtyard of the elegant and affordable Baisha Holiday Resort. Charlie Lee’s gracious hospitality has given us time to eat and sip tea, and discover that my background in media production, copywriting, and love of travel might be of assistance in providing Non-Chinese speaking visitors to these Cyber-Hub, websites, a more thorough presentation in their native language. So we have decided to help each other out for some time. I hope to assist in updating the language content for other than Chinese speakers, beginning in English, and then Spanish, French, German, etc. 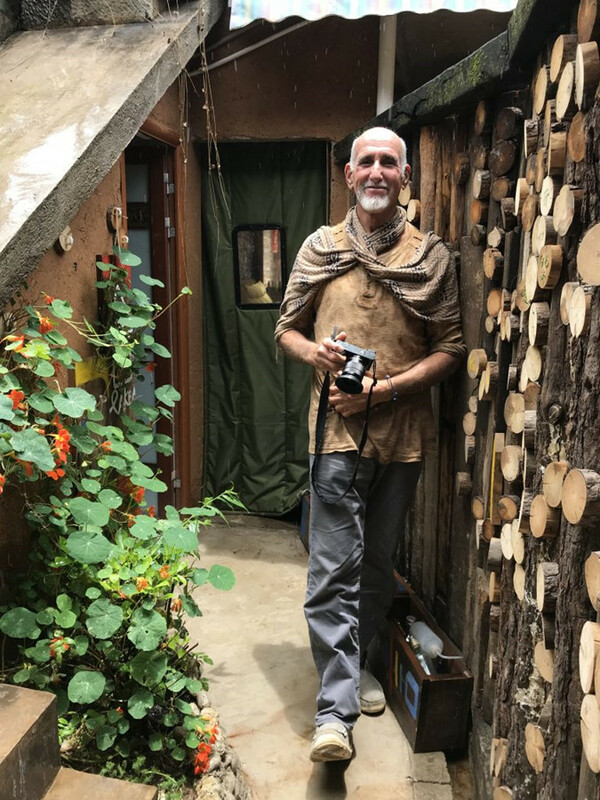 In the process I will travel throughout this region of Yunnan, hopefully into Tibet and Vietnam, chronicling my travels with photos, commentary, regularly streaming media, which will provide current travel information and conditions in various regions…. along with anecdotes from the road. It seems that I have arrived….Shangrila…indeed and in deed.